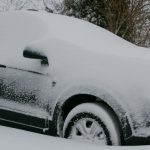 When winter comes and brings the snow and cold with it, it’s time to think about vehicle storage. You should store your recreational vehicle – or any vehicles that won’t be in use – to avoid damage from the harsh weather and roads and to ensure it’s in good working condition for spring. Clean your car—Thoroughly cleaning your vehicle inside and out not only makes it look nicer, but also prevents dirt and acidic materials from eating away at your car and causing it to rust. Change the fluids—Having clean oil, fuel stabilizer and brake fluid, and a full tank of gas will help protect your car while it’s in storage and will help it run smoother when spring comes. Protect your car—The best way to prevent the winter elements from damaging your vehicle is to keep it covered, whether it’s in your garage, a local storage facility or at a family member’s home. If you plan on keeping your vehicle outdoors, consider using a weatherproof car cover. Check tires and brakes—Inflate your vehicle’s tires to their maximum air pressure, so they can slowly deflate as the temperature drops. Also, don’t engage your parking brake as it may become frozen. Instead, use chocks (wedges placed under car tires) to ensure your vehicle doesn’t roll away. Even in storage, it’s wise to start your vehicle periodically for 10-15 minutes to get the proper oils and coolants running through it. If your vehicle has a cover on it, remove it and roll down the windows before running. If your vehicle is stored in the garage, ensure that the garage door is open and the windows are down for proper ventilation before starting your car.